We cannot imagine our world without print even as the digital and physical merge. 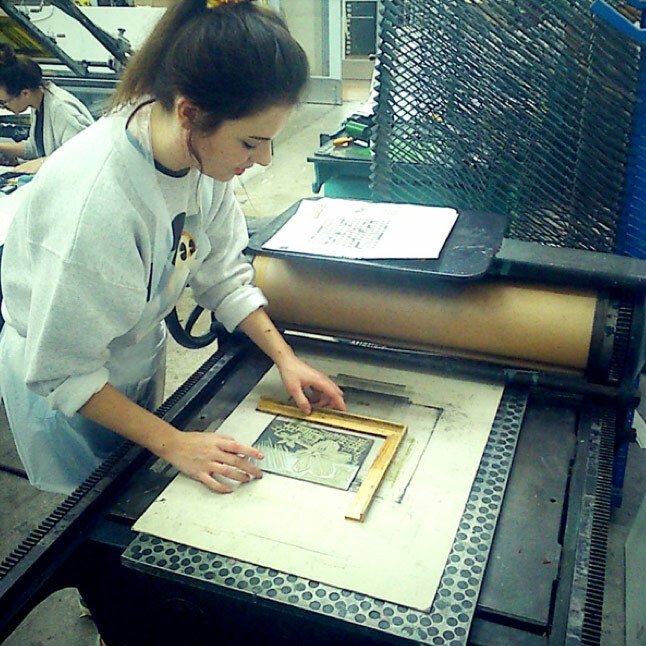 The demand for printmaking continues to rise and we want to make it accessible for everyone. 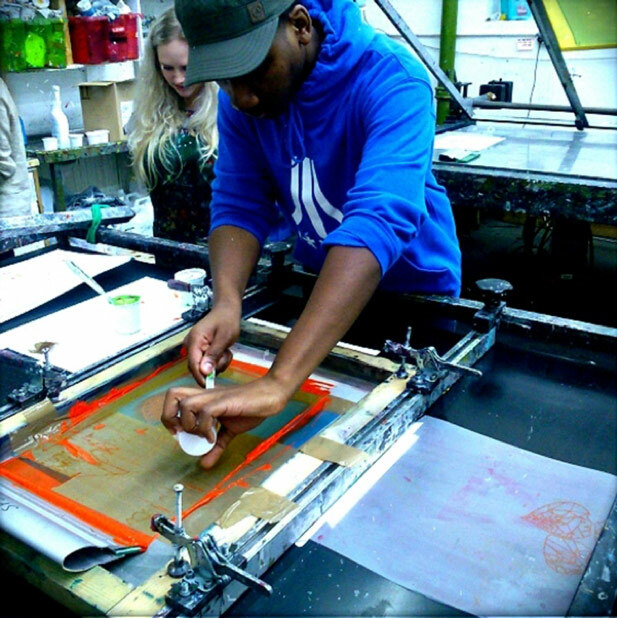 Show Me How is an innovative community printmaking education project at Spike Print Studio that connects and engages with young people across Bristol through collaborative partnerships with University of the West of England (UWE), Aardman Animations, Rising and local schools and community groups. At the core of the project is our assertion that involvement in the arts will make a difference to young people’s lives. 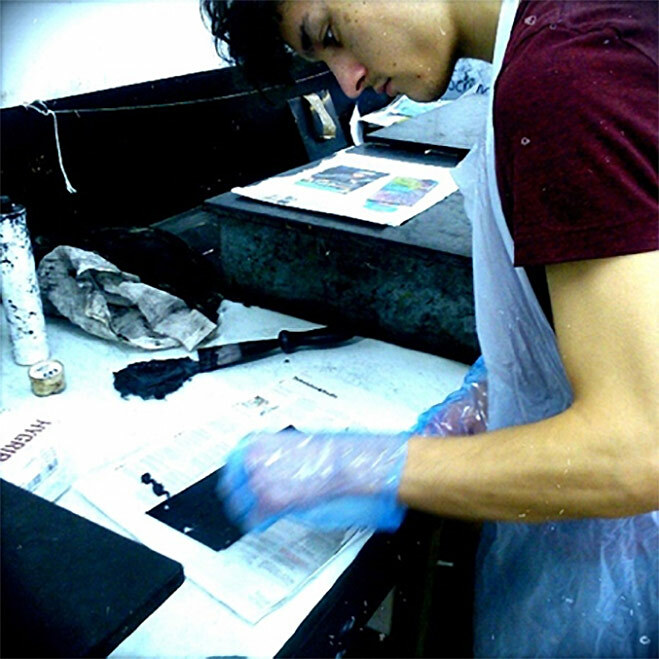 Education and training opportunities are crucial to their growth and development and our print project is designed for young people to give them the opportunity to pursue their educational and professional goals. 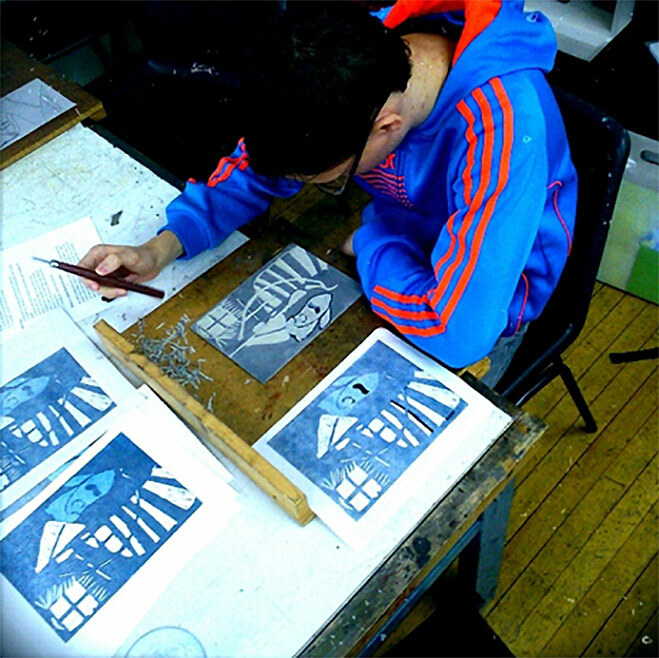 Why Printmaking? Print is an excellent medium with which to engage young people because it is an immediate and expressive medium with mass appeal and has cultural resonance for young people and permeates their daily lives – clothes, magazines, graphic novels, music and computer games. It is a relatively cheap artistic medium and the skills it teaches are highly transferable. Delivering the project with SPS, are artist mentors from SPS and Rising Arts Agency who ensure that the young people are supported and inspired both on site during the teaching hours at SPS and through a programme of studio access through a Young Person Membership and Young Person Technician Scheme. UWE EDUCATION supported the pilot which will allowed us to train our mentors and introduce students to the project and it supports educational progression for the young people involved. AARDMAN a renowned Bristol based animation studio, is contributing to and endorsing the project. It brings professional expertise, a national and international reputation and additional role models to the project. Its input focuses on professional development. RISING ARTS AGENCY is a Bristol-based, not-for-profit organisation which exists to support 16-25 year-olds with creative ambitions.The agency offers professional mentoring and networking, platforms to showcase your work, commissioning opportunities and creative leadership training. It works with Show Me How to provide mentoring and training opportunities for all involved. “I had a wonderful day. I had never done Drypoint printing and not sure I would have had the opportunity to do it if it wasn’t for this workshop. Jo made me feel comfortable and was a really clear teacher. I felt fully supported at each stage of the printing. I found it really exciting reviling the amazing pieces me and the group had created. I had a lovely day. Thank you very much. I appreciated each one of your times. Images below from workshop sessions with pupils from 3 local schools.